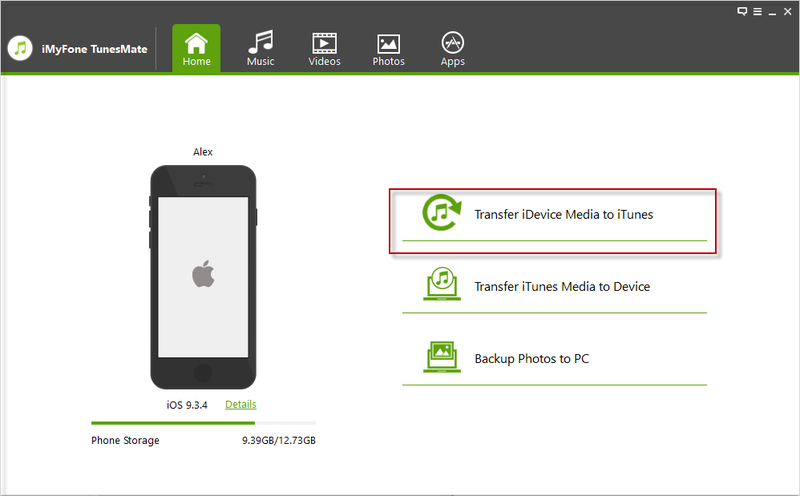 There are many reasons why you wonder "how to transfer purchased music from iPhone to iTunes". It could be that you accidentally deleted your library and you want to restore it. It could be that you simply downloaded music onto your iPhone and you want to sync all of your devices. Or it would be that you want to share your purchased music with friends. Either way, read up on these various methods below in order to do this. If you are not signed in, go to “Account > Sign in” and enter your Apple ID. Then click “Account > Purchased”. Tap on “Not in my Library” to view the purchases which are not on your computer. Find the purchased songs you want to download and click the cloud button at the upper-right corner to download music to your library. Launch the iTunes application on your computer. Make sure your computer is authorized with the same Apple ID of the purchased music. 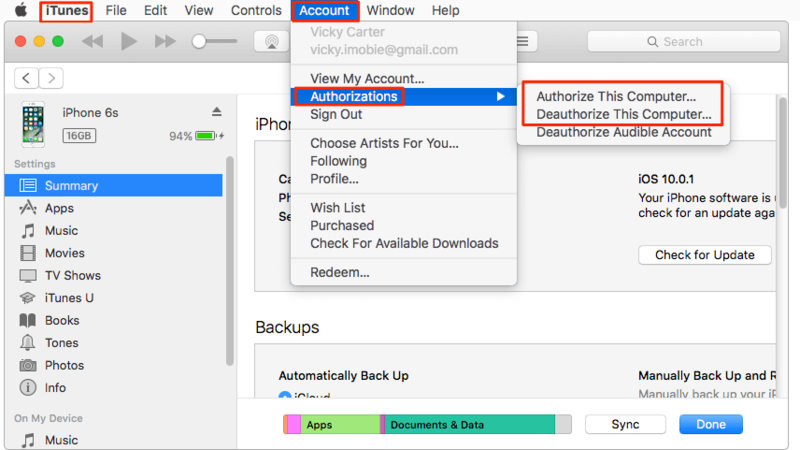 If you are not sure, you can click “Account > Authorizations > Authorize This Computer” on iTunes. The limitations of these methods are obvious, though. You can only transfer purchased music, and you might lose music that you didn’t purchase in the official iTunes store. Have you heard of iMyFone iPhone Transfer? If you haven’t yet, just know that it can really change your life. It gives you control over all of your iOS devices. It can transfer songs between your iPhone and iTunes library easily. It doesn’t matter if the music was purchased officially or if you just downloaded it unofficially, none of your files will be lost. It can transfer files to your iTunes library from your iPhone without all of Apple’s crazy restrictions. Step 1: Download iPhone Transfer and open it on your computer. Connect your iPhone. “Transfer iDevice Media to iTunes” on iMyFone iPhone Transfer allows you to transfer music to iTunes from different iOS devices. This allows you to share music with friends, including music from iTunes Store, Amazon, Google Play, and any other where. Then transfer the entire music library from iTunes to your or friend’s device using “Transfer iTunes Media to iDevice”. That’s done. You can enjoy your friend’s music and your friend can enjoy your music. It's suggested to download and try its free version. What Else Can iMyFone iPhone Transfer Do with iPhone Music? You can do all sorts of things. Delete in bulk: Songs can be removed from your iPhone music library or from the specific playlist. Back up: Export music files from iPhone to computer so you can have a backup. Add music to iPhone without losing songs: You can add music to your iPhone from anywhere, your computer, your iTunes library or any external hard drive. Edit music info: You can edit the music info of your songs at will, including album, artwork, play counts, ratings, etc. Manage playlists: You can organize your music playlists to enjoy songs easily, like creating new playlist, rename playlist, move songs to playlist, remove songs from specific playlist, etc. Make sure you have the latest iTunes on your computer. Confirm with your iTunes user name and password. Log out of the administrator account, then log back into your normal user account. Your music should now play normally when you launch iTunes. In cases like these, either your Internet connection isn’t working properly or your anti-virus software may be blocking the download. Make sure to “white list” apple.com and its sub-domains on your anti-virus. Clear the cached video files in downloads. After that, it should work. If these are songs that you purchased, you might need to restore your iPhone to get this to work. Back up your iPhone. This is important. After you back it up, go to “Settings > General > Reset > Erase All Content” on your iPhone. Your iPhone will restart. Restore the data on your phone from your backup.